SEZA is comprised of four partners, two of counsel and two associates, combining over one hundred years of legal experience. The Firm’s partners have represented clients in over one hundred jury trials, numerous bench trials, arbitrations, mediations, and administrative hearings, all with an impeccable success rate. 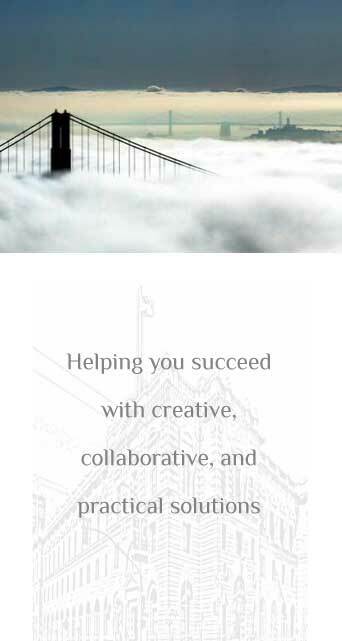 Several of our attorneys have served as Assistant District Attorneys or Deputy City Attorneys for the City of San Francisco and have a depth of trial experience and familiarity with the San Francisco Judiciary matched by no other firm our size. SEZA is committed to representing our clients in an aggressive, efficient and cost effective manner. We are more interested in maintaining long term relationships with our clients than achieving short term profits. We pride ourselves in our straightforward and honest representation of our clients and in our candor in accurately appraising our clients of the strengths and weaknesses of each individual matter they bring to us. SEZA's corporate clients range from start-ups and local wineries to international and Fortune 500 companies. Our corporate representation regularly involves issues relating to domestic and international product distribution, purchase and sales, real estate and land use, construction, employment agreements and disputes, and a wide variety of other business related matters.